← An 1844 view of Bideford. Two photographs of the V.E.Day Celebrations, 1945, which took place at the bottom of Pitt Hill, Appledore . I cannot remember all the the names of the persons in the photographs, but I am sure some of your readers can. Picture 1: The two lads at the bottom of the picture are Left to Right :- Michael Eastwood and Billy Edwards. On the other side of the table L. to R. Alan Popham, ? , Phillip Scilly, Owen Vaggers, John Scilly, ?, ? Hargreaves (Visiting ) and ? Picture 2: The two girls at the bottom of the picture are L. to R. Geraldine Prouse and Alice Vaggers. On the other side of the table L. to R. ?, ?, Gillian Eastwood, Alan Popham, ?, Phillip Scilly, Owen Vaggers, ?, ? Hargreaves (Visiting). I am pleased that some of your readers have contacted you regarding the date. On reflection they are correct in suggesting that it was Coronation Day, 1953. I was aged 15 at the time, goodness I do look young! Perhaps you will be so kind as to put a correction in your next edition. Thank you and good Buzzing, Owen. 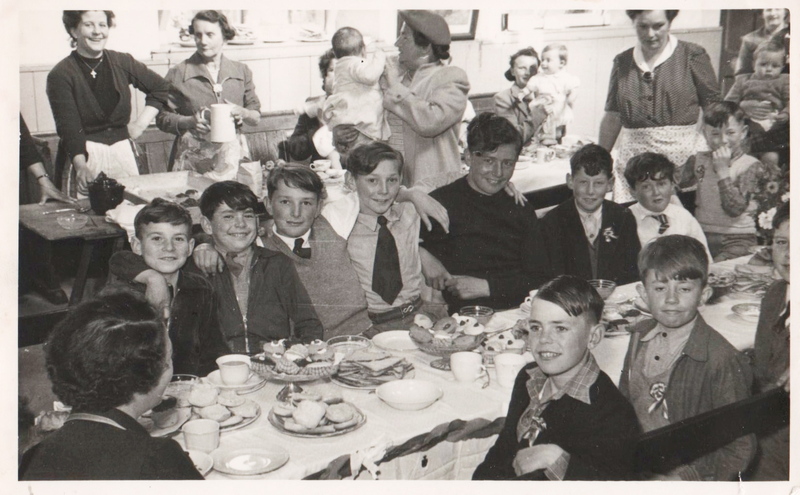 This entry was posted in History, Local People and tagged appledore, Coronation Day, VE Day. Bookmark the permalink. One Response to Coronation Day, 1953. 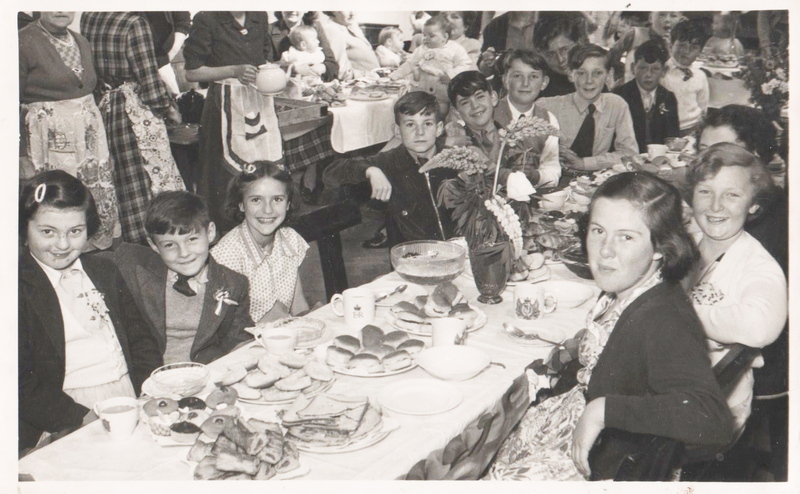 Hello I have just discovered the photos you published concerning coronation day and were suggesting it was me sitting at the table .